Most car accessories are for entertainment or safety and Jumia Egypt stocks a wide array of car accessories from superior brands such as Universal, Sunsky, Louis Will and Remax. To shop online for car accessories, browse through our car accessories category for products such as mobile holders, wireless chargers and headsets such a Jabra Bluetooth headset. 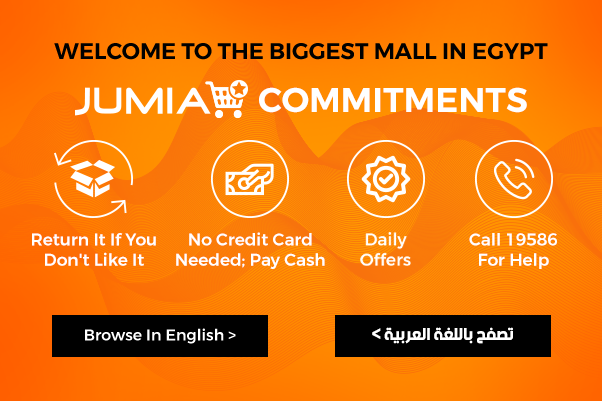 Order for your accessories online conveniently with Jumia Egypt. For safety while driving, car accessories such as car holders are important, they hold gadgets such as mobile phones, allowing you to receive and make calls without taking your hands off the steering wheel. In this category, you will also find car chargers, some digital and others come with multiple charging ports, allowing more than one device to charge at the same time. Other car parts include Bluetooth speakers and Bluetooth headsets that can be connected to your car through Bluetooth connectivity. When going on a road trip, you might not have a lot of time to wait for your phone to charge, so you may want to invest in a fast charging battery charger. Shopping for car accessories online in Egypt? Browse through our wide range of accessories for Bluetooth headphones, headsets, car charges and mobile car mounts. Shop securely online and have your accessories delivered to you.